A snake like spring usually stretched from front to back of seat. For seats use the 9 gauge which are sold in set lengths. 1. The spring is made of high carbon steel wire,have good elasticity. 2. 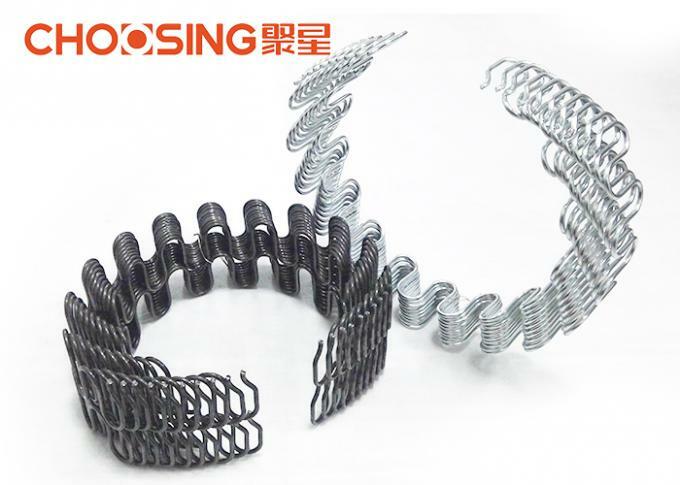 Available spring diameter from 2.8 - 4.0mm, fit for your needs. 3. Rolling, round, flat, super loop or functional zig zag are all available. 4. 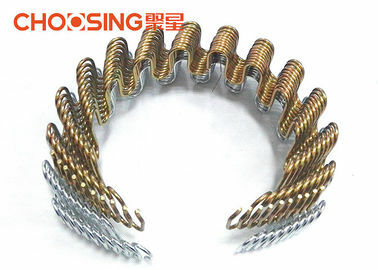 Heat treatment with transparent painting coating or zinc plating,excellent anti-rust. 5. Easy to be installed,with excellent elasticity and more comfortable. 6. Rolling, round, flat, super loop or functional zig zag are all available. 1. Packing way - Length below 65cm - 500PCS/bag,length above 65cm - 300PCS/bag,packed with green knitted bage. 2. Delivery - goods are shipped from Guangzhou / Shenzhen port,ship in 5 - 15 days after receiving the deposit,just according to the order quantities. A: Generally speaking,it will take around 5-15 days after receiving the deposit,just according to the order quantity.